We have just made a small update to the Link Profile Fight Tool; one of our tools that helps you to compare link data. 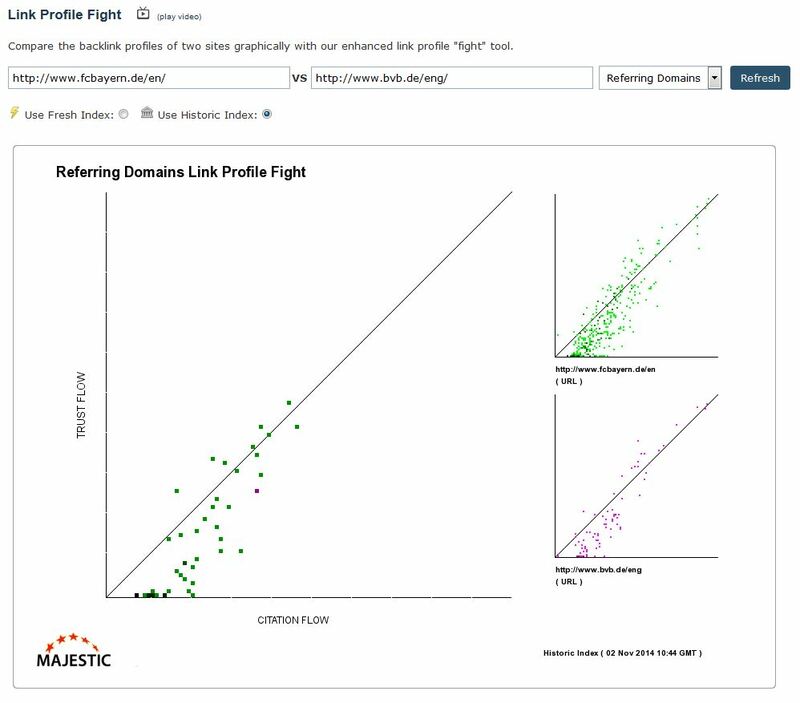 The Link Profile Fight Tool specifically allows you to compare two sites at one time using the site Link Profile information. You can let the data do the work, as the statistics “fight it out” so you can easily see which website is stronger, and comes out on top.